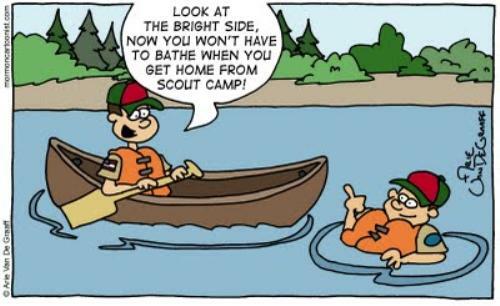 Scouting is about learning skills that you'd never learn in any other youth group. Sure you learn how to tie knots but you also learn First Aid, Outdoor Skills and Navigational Skills. It's all about learning how to survive, not just in the woods but in the real world as well! Scouting offers over 100 different topics to learn about. They cover topics from Sports, to Indian Lore, to White Water Rafting and Back Packing. The Boy Scouts of America is the largest youth-oriented organization in the United States. More than 4 million boys and leaders are currently registered in the Boy Scouts of America. There are many youth organizations to chose from, such as sports, service clubs and educational programs. As volunteers, we salute these organizations for their work with young people. The Scouting program, however, goes above and beyond programs offered by traditional youth organizations. And, most importantly, it's LOTS of fun!